For most, maternity leave is a time when a professional woman’s career takes the backseat to her family. But for some women, maternity leaves are becoming exciting opportunities to re-energize their professional lives. How is this possible? When it’s your career but someone else’s maternity leave. Maternity Leave It To Me is a woman-owned company focused on matching freelancing professionals to cover the maternity leaves of new moms with positions which require special skills or a certain degree of expertise. The idea of Maternity Leave It To Me came from both parts of my life as a working mom. As a marketing and communication professional, my firm was often asked to step in and take on additional responsibilities when a member of our client’s team was going out on maternity leave. I found that I enjoyed getting up to speed on my client’s active projects while at the same time hearing all about baby plans. During her time at home, my coworkers and I did our best to keep the work running smoothly and let the new mom stay as little or as much connected as she’d like. As a mom of young children myself, I often found myself have conversations with other moms about work and kids while we chased after our toddlers and preschoolers at the playground. Everyone – stay-at-home moms and working moms alike – was mostly happy with the decisions they had made about family and career but each had their own set of doubts and fears. Some wished that they had more time to spend with their kids, and others worried about transitioning back to the workforce once their kids were grown. Which got me thinking… wouldn’t it be fantastic to build a business based on the idea of moms helping other moms and solve all of these issues? 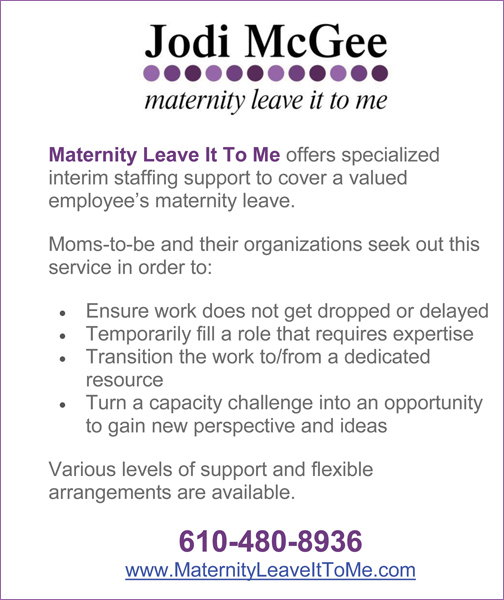 Maternity Leave It To Me is focused on providing specialized interim staffing support to cover a valued employee’s maternity leave. Moms-to-be and their organizations seek out this service in order to ensure that work does not get dropped or delayed, temporarily fill a role that requires expertise, transition the work to/from a dedicated resource, and turn a capacity challenge into an opportunity to gain new perspective and ideas. Today, the business focuses on providing support to Marketing and Communication professionals but there are plans to expand the service to other industries. The long-term vision is to build teams of industry experts available to support a variety of industries such as Architecture & Design, Technology or Human Resources. 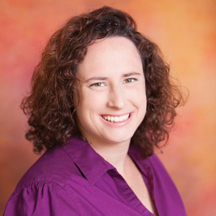 Jodi McGee founded Maternity Leave It To Me because she knows firsthand that having a baby changes everything, including your professional life. After navigating three maternity leaves of her own and watching friends, colleagues & clients wrestle with the same anxieties and decisions, it became clear to her that this was one of today’s workplace realities and there was an opportunity for a new answer. Maternity Leave It To Me was born!